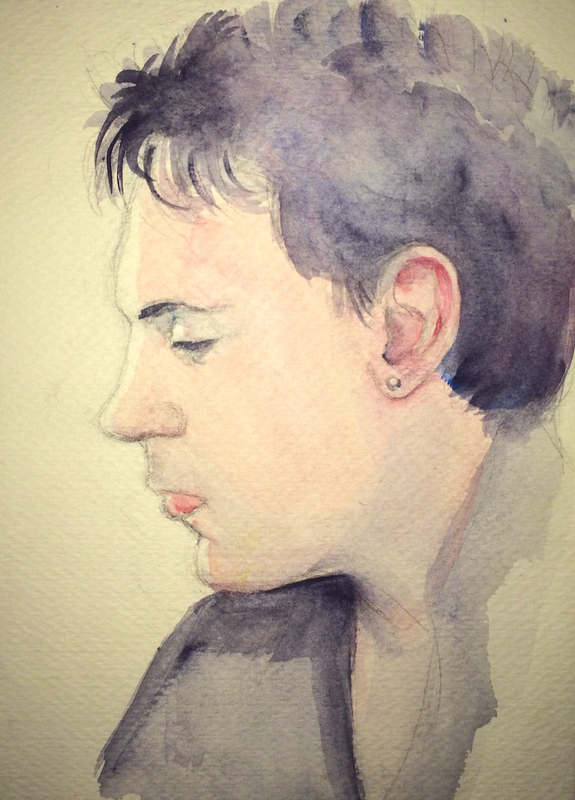 Another portrait of my ex-boyfriend John. I finally discovered actual watercolor paper by this time - you can see the grain if you click the image to zoom in. I really like the pencil drawing and watercolor combination. And I especially like this piece because I managed to control the watercolor enough to leave blanks spaces along the front edge of the profile to indicate light. If I had become an illustrator I would have probably specialized in this. Although thanks to computers there's very little need for manual-skill based art now anyway.